The rookie RB nearly rushed for 1,000 yards in the regular season and has come up big in the postseason. 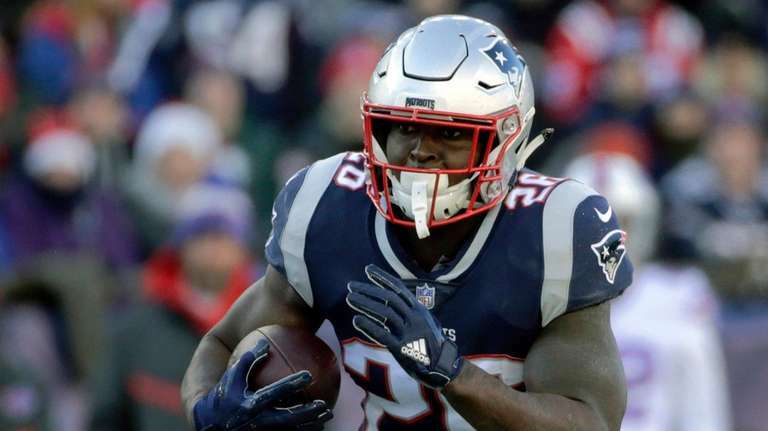 ATLANTA — Patriots rookie running back Sony Michel will see many familiar faces when he plays in his first Super Bowl on Sunday, including someone very close to him on the other side of the field. Michel was a teammate of Rams running back Todd Gurley for one season at the University of Georgia. The way Gurley remembers it, he taught Michel how to run and catch — basically everything he knows. “He did,” Michel confirmed, adding that he’s excited that both are experiencing their first Super Bowl together. Gurley is in his fourth year and was in consideration for MVP honors early this season. Michel is finishing off an impressive rookie season as the Patriots’ lead back and has played very well in his first postseason. Michel ran for 931 yards and six touchdowns in 13 games. In two playoff games, he’s run for 242 yards and five touchdowns. There is something to what Edelman said. Michel has added young legs to a team that is loaded with veterans and has been called old, particularly 41-year-old quarterback Tom Brady, who has done nothing but defy Father Time. Michel is the only rookie on offense for the Patriots, and he’s flashing his elusiveness for a very productive backfield that also features James White and Rex Burkhead. It’s been quite a year for Michel. He helped Georgia to the national championship game, which it lost to Alabama. He got drafted by one of the most successful franchises in the NFL and is about to play in the biggest game of all not far from where he played his college ball in Athens. But there have been some tough moments as well. Michel was injured in the preseason, forcing him to miss the first game. In October, he suffered a knee injury that was feared to be serious. He came back after missing two games and nearly became the sixth running back to rush for 1,000 yards since Brady became the full-time quarterback in 2001. Michel turned out to be a great late first-round pick, and he knows how fortunate he is to have joined the Patriots. It didn’t take him long to pick up Belichick’s mantra.